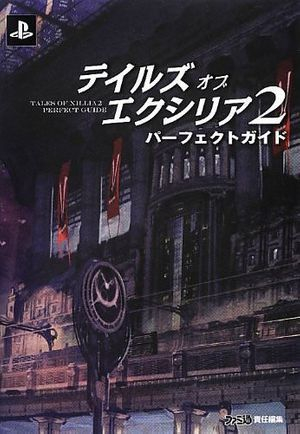 Story: Saddled with debt, Ludger becomes a Clanspear agent and needs to destroy fractured dimensions to save the prime dimension, while looking for the Land of Canaan at Elle's request. 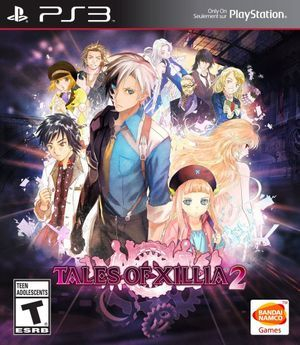 Setting: It takes place in the same world roughly one year after Tales of Xillia. The main difference is that now Rieze Maxia and Elympios are not separated anymore. New elements include fractured dimensions, the Chromatus ability, the spirits Origin and Chronos, and Origin's Trial. Contents: Gameplay guide and data, glossary, illustrations, staff interviews. Interest: The creator interviews provide insightful information about the creating and writing process, author intent, discarded ideas, etc. Contents: Gameplay guide and data, setting and character descriptions, timeline, glossary. Interest: Settings and character explanations. The glossary is quite complete. The timeline in this one is pretty short but reveals new things. Contents: Timeline, detailed setting and character explanations, illustrations, Q&A corner, creator comments, cast interviews, short stories. 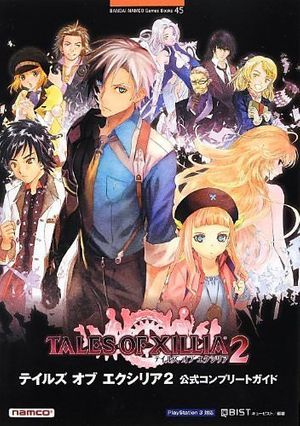 Interest: The main reference for Xillia 2. Its explanations are the most detailed and accurate and the creators take the time to answer a few common questions from fans. Contents: Game script, short story. Interest: Useful for checking something from the script directly. The short story.